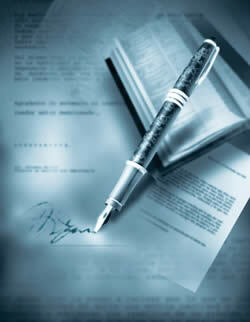 By using this site, you signify your agreement to the following conditions of use without limitation or qualification. Please read these conditions carefully before using this site. Max Corp may at any time revise these terms and conditions by updating this posting. You are bound by any such revisions and should therefore periodically visit this page to review the then current terms and conditions to which you are bound. The materials on any Max Corp website are provided "as is" and without warranties of any kind, either expressed or implied, including, but not limited to, implied warranties of merchantability and fitness for a particular purpose. Max Corp does not warrant that the functions contained in the materials will be uninterrupted or error-free, that defects will be corrected, or that this Website or the server that makes it available are free of viruses or other harmful components. Max Corp does not warrant or make any representations regarding the use or the results of the use of the materials on this Website in terms of their correctness, accuracy, reliability, or otherwise. You (and not Max Corp) assume the entire cost of all necessary servicing, repair, or correction. Links to other sites can be accessed through this home page. Such external Internet addresses contain information created, published, maintained or otherwise posted by organizations independent of Max Corp. Max Corp does not endorse, approve or certify any information, product or service referenced or provided at such addresses. While Max Corp uses reasonable efforts to include accurate and up-to-date information on this Website, errors or omissions may occur. Max Corp makes no warranties or representations as to the accuracy of this Website. Under no circumstances including, but not limited to, negligence by act or omission, shall Max Corp or any party involved in creating, producing, or delivering this Website be liable for any direct, incidental, consequential, indirect, or punitive damages that result from the use of, or the inability to use, the materials on this Website, even if Max Corp or a Max Corp authorized representative has been advised of the possibility of such damages. Applicable law may not allow the limitation or exclusion of liability of incidental or consequential damages, so the above limitation or exclusion may not apply to you. In no event shall Max Corp's total liability to you for all damages, losses, and causes of action exceed the amount paid by you for accessing this Website. Max Corp assumes no responsibility and shall not be liable for any damages to, or viruses that may infect, your computer equipment or other property on account of your access to, use of, or browsing in the Website or your downloading of any materials, data, text, images, video, or audio from this Website. This site is owned and operated by MAXIMUM CORPORATION and its affiliates, (collectively referred to as "MAX CORP," "we," "us," or "our" herein).Permission is granted to display and navigate around this Website with a computer using HTML browser software, solely for personal, non-commercial use. Any commercial or public use of this Website or any portion hereof is strictly prohibited. Except as otherwise permitted by Max Corp, no materials from Any Max Corp website or any Website owned, operated, licensed or controlled by Max Corp may be copied, reproduced, republished, uploaded, posted, transmitted, or distributed in any way. You may download material displayed on this Website for non-commercial, personal use only provided you also retain all copyright and other proprietary notices contained on the materials. You may not distribute, modify, transmit, reuse, repost, or use the content of this Website for public or commercial purposes, including the text, images, audio, and video, without Max Corp's written permission. Max Corp neither warrants nor represents that your use of materials displayed on this Website will not infringe rights of third parties not owned by or affiliated with Max Corp. This Website is controlled and operated by Max Corp from its offices within the State of Texas, United States of America. Max Corp makes no representation that materials on Any Max Corp website are appropriate or available for use in other locations. Those who choose to access this site from other locations do so on their own initiative and are responsible for compliance with local laws. The information contained on this Website is not an offer to sell or a solicitation to buy any insurance product. No insurance product is offered or will be sold in any jurisdiction in which such offer or solicitation, purchase or sale would be unlawful under the insurance laws of such jurisdiction. Some insurance products may not be available in all states. In addition, any insurance products referred to on this Website may be offered and sold only to persons in the United States. These products are distributed by Central Security Life Insurance Company (CSLIC) and Western American Life Insurance Company (WALIC). Images displayed on this Website are either the property of, or used with permission by, Max Corp. The use of these images by you, or anyone else authorized by you, is prohibited unless specifically permitted herein. Any unauthorized use of the images may violate copyright laws, trademark laws, the laws of privacy and publicity, and communications regulations and statutes. All trademarks, service marks, trade names, logos, and icons used by Max Corp or any Max Corp company are proprietary to Max Corp. Nothing contained on the Website should be construed as granting, by implication, estoppel, or otherwise, any license or right to use any trademark or service mark displayed on this Website without the written permission of Max Corp or such third party that may own the trademarks or service marks displayed on this Website. Your use of the trademarks or service marks displayed on this Website, or any other content on this Website, except as provided herein, is strictly prohibited. Inquiries concerning use of Max Corp's trademarks, service marks, trade names, logos, icons, copyrights or other intellectual property should be addressed to Max Corp, Inc., Legal Department , 2185 North Glenville Drive, Richardson, Texas 75082, United States of America. Any communications or material you transmit to this Website by electronic mail or otherwise, including data, questions, comments, or suggestions, will be treated as nonconfidential and nonproprietary and will become the property of Max Corp or its affiliates. Such communications or material shall be used for any purpose including, but not limited to, reproduction, disclosure, transmission, publication, broadcast, and posting. Furthermore, Max Corp is free to use any ideas, concepts, know-how, or techniques contained in any communication you send to this Website for any purpose whatsoever including, but not limited to, developing and marketing products using such information. All trademarks, service marks, trade names and logos used by Max Corp or its subsidiaries are registered trademarks or service marks of Max Corp, Inc. and/or its subsidiaries.